RUSH: Here we are, folks, and a loaded Monday. And I just want to tell you right out of the box, it’s not possible to do everything I’ve got here in the first segment. It’s not possible to do everything I do in the first half hour, everything I have here. So if you don’t hear what you think is a top drawer story in the first half hour, don’t panic, don’t fret, we’re gonna get to all of it. It’s just not possible. I couldn’t even set the table with everything coming up here in the first segment. We got Trump. We’ve got the Mueller investigation and what it really is all about. We have a tainted investigator on the Mueller team. They are all tainted! They’re all Clinton donors and lawyers. What do you mean, a tainted investigator? The whole team is a bunch of partisans. The FBI is in tatters, as Trump says. We’ve got all that coming up. But I want to start, ladies and — oh, yes, it’s 800-282-2882 if you want to be on the program. The email address, ElRushbo@eibnet.us. The three major networks have yet to explain why Brian Ross has been suspended for a month. The three major networks are ignoring this story. Brian Ross, once again, crapped the bed on Friday with an absolute BS story that he had to know was BS. And we opened the program on Friday calling him out, urging everybody not to panic over what Brian Ross was reporting, because you can’t trust it. This guy has reported lies about me throughout my career, some of it genuinely damaging. And if I weren’t a public figure, I would have actionable opportunities on it. But he has shown himself to be a full-fledged partisan, and ABC knows it, and Brian Ross gives ABC exactly what it wants. The idea that they’re outraged and disappointed over what happened is crazy. He gets a four-week unpaid vacation over the month of December, which as we all know is the time we hit the Christmas break traditionally and not a whole lot of news is made. So it ain’t that bad a deal for Brian Ross, and I doubt that his reputation in his own mind has been damaged at all here. But let’s go back and relive the moment when I tried to calm the waters here on Friday. What Brian Ross had reported was that the president, as a candidate, had encouraged members of his team to call the Russians and tamper with Obama administration foreign policy. He mentioned that Trump ordered this done as a candidate. Were that true, that would be big news. And that would be very bad. And that would have been very wrong. But it didn’t happen. It happened after Trump became president-elect, after he had won the election, and it happened during the transition, making it not a big deal at all, making it quite common for Trump ordering various members of his team to call countries and their representatives to set the table for the incoming new administration. There is nothing criminal about it except they’re trying to criminalize this particular presidential transition. So they ran with this. And over on The View, I mean, Joy Behar is doing a dance like she probably hasn’t done in 70 years. She’s so excited, so thrilled, had no idea that Brian Ross had made it up, lied about it, got it wrong, however you want to characterize it. This is how I opened the program Friday. RUSH ARCHIVE: I don’t mean to be talking down here, but everybody calm down. Just calm down. ABC News and Brian Ross are exactly who we think they are. Brian Ross reporting that Flynn promised to tell Mueller anything he wants to know about Trump and his family. 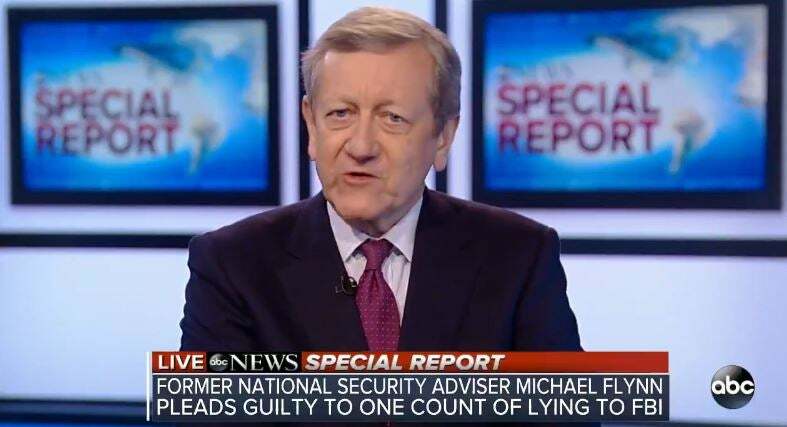 Folks, it’s Brian Ross, it’s ABC, it’s much ado about nothing. ROSS: He’s prepared to testify, we are told by a confidant, against President Trump, against members of the Trump family and others in the White House. He’s prepared to testify that President Trump, as a candidate, Donald Trump, ordered him, directed him to make contact with the Russians, which contradicts all that Donald Trump has said at this point. 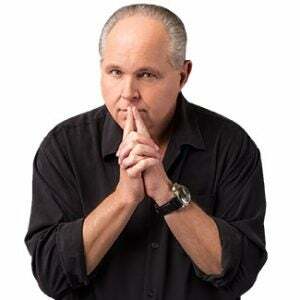 RUSH: Well, now, the keyword in that bite is “President Trump as a candidate.” Meaning before the election. And had that happened, then the Trump team and Trump would be in heap big doo-doo. But it was wrong. And of course Stephanopoulos’ question is wrong. “Brian, this would suggest Michael Flynn had a fair amount of information to offer.” No, it doesn’t. It means Flynn doesn’t have anything to offer, if all they got him on was lying to the FBI in a process crime. When your lead witness, when your lead witness can’t testify to the scheme, and Flynn’s not testifying or pleading guilty to any scheme here, he’s testifying or pleading guilty to lying to investigators. So Mueller has secured as his number one witness an admitted liar. 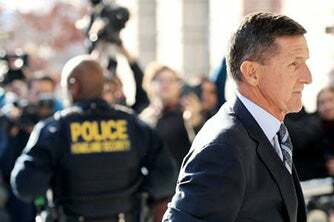 Now, if this case ever sees an indictment before a jury, Flynn’s not gonna do them any good. But that’s not what they’re aiming for here, folks. They’re aiming for impeachment, and they’re aiming for impeachment on an obstruction of justice charge. There is no collusion with Russia, there never was any collusion with Russia, and they’re not pursuing collusion with Russia. They’re gonna go after Trump for obstructing justice. It all has to with Trump telling Comey, asking Comey to go easy on Flynn whether or not Trump knew that Flynn had lied when all of that happened. They don’t have anything on the primary objective of this entire investigation. They’ve got zilch, they got zero, they got nada. They don’t have any collusion with the Russians because there wasn’t any. All they’ve got now is an attempt to portray Trump as obstructing justice as president-elect and as president, not as a candidate. So Brian Ross makes this report, and the stock market tanks 350 points. This cost people a lot of money. It laid out there. This report laid out there for a while during most of the day, and people reacting to it, and most people didn’t parse it. They didn’t hear the word “candidate” at first. Some did eventually. Which is what raised everybody’s attention. And then Friday night on ABC’s World News Tonight, here is a portion of Brian Ross’s report about Flynn pleading guilty to one count lying to the FBI. ROSS: A clarification tonight on something one of Flynn’s confident’s told us and we reported earlier today, He said the President had asked Flynn to contact Russia during the campaign He’s now clarifying that, saying according to Flynn Candidate Trump asked him during the campaign to find ways to repair relations with Russia and other hot spots and then after the election the President-elect asked him to – told him to contact Russia on issues including working together to fight ISIS. RUSH: Well, thanks, Brian, it just means your first report, it’s not only not worthless, it was damaging, and I believe purposely so. I don’t believe any objectivity. I don’t give him the benefit of the doubt anymore. This kind of stuff, this is not tough. When you’re gonna issue a report saying that a candidate — and throwing this off on a source. Does anybody believe there’s a source out there? Brian Ross says, “Correction. Now, my sources clarifying that…” Why’s the source clarifying? Why didn’t you clarify the source before you ran with the original story? Answer: Too juicy. You know what’s happening here, folks, I’m gonna tell you exactly what’s happening. These people are so lost in their dream of impeaching Trump. I told you last week, I’ve told you many days prior, these people get up every day — I’m talking about everybody in the Drive-By Media, in Washington, New York, that whole corridor, they wake up every day, what gets them out of bed is that this day, every day, is gonna be the day where the silver bullet is found, and we’re gonna nail Trump today. It’s gonna happen today, because they believe that bullet exists. They have immersed themselves so much in this lying, stinking premise that Trump colluded with the Russians to steal the election from Hillary, they’ve been immersed in it so long, they now believe it. Whatever objectivity they bring to this, if any, whatever intelligence they bring to this, they’re lost now. They’re so immersed in this, they literally believe it. And each one of them gets up every day thinking they’re gonna be the one that discovers the story, that discovers the item, that discovers the evidence that is gonna nail Trump. They all do. They live it, and they breathe it. And this is what happened to Brian Ross. I don’t know who his source is, I don’t know what his source really told him. But they believe that Donald Trump actually was colluding with the Russians. They believe the Trump dossier. They believe it in their minds, and they believe it in their hearts. No more objectivity, no more curiosity, no more openness to alternatives. They believe it. And so they have corrupted their own intellects. They have corrupted their own professionalism, individually. And this is exactly what happened. They got a morsel here, and they so want this to be true that Brian Ross either heard something that wasn’t said or did indeed hear something that was said and ran the risk of running with it anyway because why not? My buddies in the media are gonna back me up. My management in the media are gonna back me up because we all hate Trump, and we all want Trump to go, and we’re all so sorry and sad about what happened to Matt Lauer. And so we’ve got a score to settle here. Well, then all hell broke loose. I can’t tell you, I was so gratified the number of emails I got Friday night, “You called it, you called it, you called it.” I know I did. ‘Cause I know these people. And you know why I knew it? Let’s go back, July 20th, 2012, once again Good Morning America with George Stephanopoulos. He is interviewing ABC’s chief investigative correspondent Brian Ross about the alleged shooter in a mass shooting in an Aurora, Colorado. STEPHANOPOULOS: I want to go to Brian Ross here, because, Brian, you’ve been looking, investigating the background of Jim Holmes here. You’ve found something that might be significant. BRIAN ROSS: There’s a Jim Holmes of Aurora, Colorado, page on the Colorado Tea Party site as well, talking about him joining the Tea Party last year. Now, we don’t know if this is the same Jim Holmes. But it’s Jim Holmes of Aurora, Colorado. STEPHANOPOULOS: Okay, we’ll keep looking at that. RUSH: Okay, now, let me ask you a question. You’re Brian Ross ABC News Washington, investigative reporter, chief investigative correspondent, trench coat and everything, and there’s a mass shooting in Aurora, Colorado and the first instinct you have after learning the man’s name is to go check a Tea Party roster? That’s the first instinct you’ve got? The first question that occurs to you? Hm-hm, Jim Holmes, I wonder if this guy happens to be a mad right-winger Tea Party member. And, lo and behold, he goes wherever he has to to find these rosters of members of the Tea Party. Lo and behold, there’s a Jim Holmes there! His heart must have been beating, he must have been unable to contain himself here, he might have had to exert more control over his bodily functions than you’d ever know possible. He could not wait to get this story on the air that the shooter was a Tea Party member. It turned out not to be true. “But, Rush, but, Rush, he alluded in that report, I heard, ‘We don’t know if it’s the same Jim Holmes. '” They were hoping. It doesn’t matter if they knew or not. They made the report and they established the connection, and you know as well as I do that the low-information crowd hears this stuff and then once a connection is made and the emotional reaction occurs they hear nothing that follows. Tea Party. Shot up a movie theater in Aurora, Colorado. Brian Ross was not suspended for that. He was suspended by ABC News on Friday, but again, ABC, CBS, NBC, the three primary broadcast networks have not even reported that. He’s been suspended without pay for four weeks during December. The first report was that he was suspended with pay, which meant that he was gonna get a four-week Christmas vacation paid. But it turned out not to be the case. GREENFIELD: — in reporting breaking news inaccurately. Linking Saddam to the anthrax attacks in 2001, linking the Aurora shooter to the Tea Party by using the wrong name. This is exactly what Trump and his allies want to say, “No matter what you hear on mainstream media, it’s fake, they’re doing it to hurt us.” And this is like handing a sword to the people who want all media to be looked at in that regard. You people in the Drive-Bys, you’re trying to separate Trump from his supporters and voters, and you’re going backwards. You are cementing Trump’s supporters to him. You are tightening that bond. And it’s not just Brian Ross. It’s the whole lot of you. Well, I mean, there are exceptions out there, of course. RUSH: Troy in Whitehall, Wisconsin. Glad you called. What’s happening? CALLER: Merry Christmas, Rush. I’ve been a fan for a long time. Thank you for taking my call. CALLER: I’m extremely nervous, so please be patient. When I was listening to your podcast on Friday — I’m a brand-new 24/7 subscriber, it’s a great thing. RUSH: Thank you very much for that. I appreciate that. CALLER: How did you know so instinctively to call this out so fast before it really got traction? RUSH: You mean the Brian Ross thing? CALLER: Yes, sir. Yes, sir. RUSH: Well, it’s a good question. Take me through it. You’re listening to me say what I said Friday. I want you to describe for me — this helps me, this helps me empathize with the audience. What was your reaction when you heard me basically say, “Folks, don’t sweat it. It’s Brian Ross. There’s nothing here. It doesn’t mean anything,” what went through your mind when you heard me saying that? RUSH: Okay, this is good. CALLER: — not to believe these people? 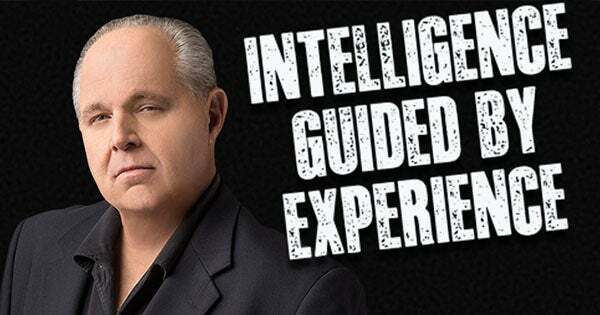 RUSH: The reason I asked you that is you confirmed a suspicion or opinion I have, and it is this, that despite what everybody knows about the Drive-By Media, they still tend to believe them. RUSH: It’s human nature. It’s nothing against you. It doesn’t mean that you’re falling down on the job of interpretation. The media and the tendency, the human tendency, if it’s on the page, if it’s the printed or published word, you believe it, even if it’s in a rag publication you’ve never heard of just because the words are on paper, you believe it. This is ABC News, and you think they couldn’t lie about this, they couldn’t, this is too big. And yet here you hear me telling everybody, discount it, it’s Brian Ross. There’s a simple answer to this, but you may have a tough time — not accepting it because I don’t think you believe I lie to you, but still you might have a bit of a problem with this because it isn’t complicated. I have multiple years’ experience watching these people. I know liberalism, and I know media like the back of my hand. I’ve studied them. The entire 30 years of this program, much of it has been spent explaining liberalism to people so that I can effectively refute it, explaining the media, who they are, how they operate, examples of how they operate, so that I can refute it, so that I can hopefully be persuasive with people in convincing them not to believe out of the chute everything they hear. So with me, when I say it’s intelligence guided by experience, that’s really it. All I needed to know, based on 30 years of watching this stuff, Troy, it was Brian Ross, and that’s 80% of it; the other 20% of it was ABC. And you couple that with what I already explained, they live and breathe with this unquenchable desire to destroy Donald Trump. 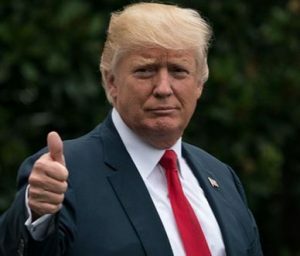 They wake up every day, each one of them, every Drive-By Media, male and female that you watch or read, I’m telling you, every one of them wakes up every day hoping that day is gonna be the day that they or one of their colleagues find the silver bullet that’s gonna nail Trump. They are convinced it’s there. They have become delusional, they have so immersed themselves in this lie for the last 12 months plus that they believe Trump colluded. They believe Hillary should have won. They believe the election was hacked and tampered with. They believe Trump colluded with Putin to screw Hillary out of the election. They believe it like you believe whatever you mostly believe in your life. They believe it. They don’t hope it. They don’t think it. They believe it. And so when here comes a story that featured something we have never heard, in all of this, never did we hear that Trump as a candidate, that word specifically was not mentioned. But the bottom line, Troy, is that I know it didn’t happen. And the way I know it didn’t happen is by watching the very Drive-By Media and the Democrat Party. If there was evidence it had happened we would have long ago known it and they would have long ago used it and long ago tried to get rid of Trump. There is no evidence, there will not be any evidence because there isn’t any. They had to manufacture a fake dossier to further along this fake narrative. They are living a series of lies. So it’s only common sense that when you have Flynn flipping and admitting to lying to the FBI, these people think that Flynn has told Mueller that Trump told him to call the Russians and fake the election, that’s what they think. Since there’s no evidence for it, they have to get as close to that as they can, and that’s what Brian Ross’ report was. And I had no doubt, from the first moment I saw it, that it was not going to hold up. Was I guessing? Yeah. Because, I mean, I don’t work at ABC, I don’t know Brian Ross, I hadn’t talked to him about it, so yes, total wild guess. But it really wasn’t. It’s intelligence guided by experience and a fearlessness to say so. ‘Cause I know ’em. I’ve studied them my whole life. The fact that I’ve done that, I can’t tell you how frustrating it is that more people don’t see it because to me it’s so obvious and easy. But again, I’ve spent 30 years on it. But that is the answer. I appreciate the call and I appreciate the question, the chance to answer it.